1) “Different strokes for different folks” and “It takes all kinds…” are true statements. We are all different in our needs/desires/values and motivations. 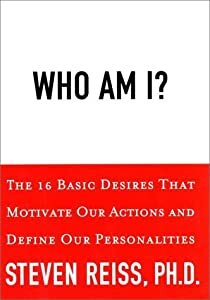 While we may seem similar to other people in some of our values, each of us are uniquely motivated to satisfy our natural needs in different ways and to different levels of satisfaction. 2) Humans naturally misdefine the word “different” to mean “bad” or “wrong” when describing differing values. Andy naturally judges Bob’s motivation to need/desire something Andy judges as undesirable and opposed to Andy’s needs/values as “different” and therefore Andy judges Bob’s motives as bad, wrong, odd and weird. Afterall, Andy is “normal” and he views his needs as “normal.” Andy then uses a value judgment to conclude that Bob’s opposite needs/values are “not normal.” Andy then tries to convince Bob to stop being so wrong headed and to come to Andy’s “right” way of thinking and to start wanting what Andy wants and values. Depending how strongly motivated Bob is about the value being confronted, an unending conflict ensues. Understanding and accepting that “different” means “dissimilar or not alike” and not wrong or bad is the first step to accepting and understanding other people’s’ needs and tolerating a “live and let live” attitude which reduces frustration and conflict in both Andy and Bob and allows both to satisfy natural needs/wants and desires. This is true for friends, co-workers, lovers, and family members. We are all uniquely different in our motivations. It’s how we are naturally wired and is nearly impossible to change. 3) Humans feel frustrated when needs are unsatisfied. Frustration is like static on a radio trying to receive a distant signal. Often one cannot understand the talk or music coming from the radio station through the noisy static. Frustration makes clear interpersonal communication and understanding nearly impossible as our minds and judgment are clouded and our emotions are running high. Reducing one’s frustration by finding a way to get one’s needs satisfied or by accepting that tolerance is the only viable option in a situation, then opens up the possibility for effective conversation/collaboration and mutually beneficial relationships with those who have differing needs/values. Understanding, acceptance and tolerance are powerful tools in human effectiveness. Let frustration be a warning signal to alert you that one or more of your needs are not being satisfied. 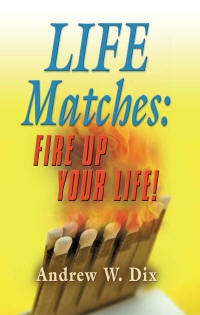 If you would like to discover your natural motivations, please send me an e-mail at andy@lifematchesbook.com. Your RMP and one hour telephone conversation is $90 US. I give all net proceeds from RMP consultation to CHADD the national non-profit organization for people with Attention Deficit Hyperactivity Disorder (ADHD).